Is your kid a boy or girl Garfield? Calling all Garfields! Boy Garfields AND girl Garfields! Gender reveal lasagna is the latest internet friendly trend taking up the airwaves, which have never been at a loss of words when discussing either gender or fine Italian cuisine. 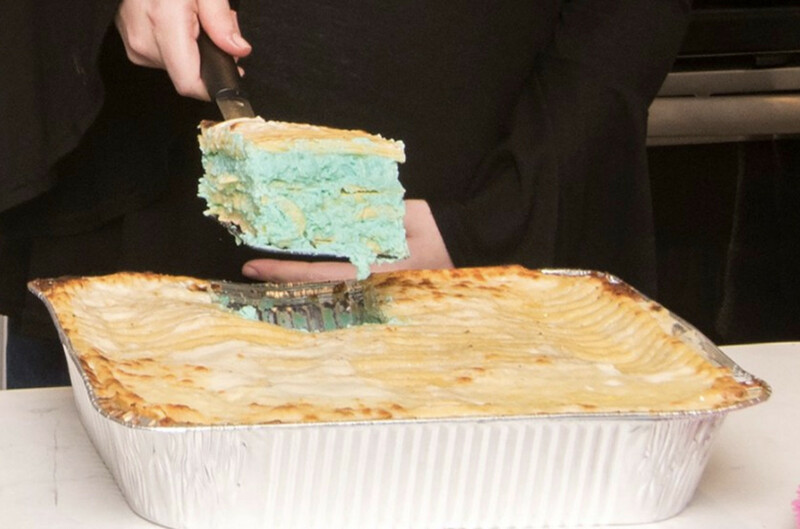 Which begs us the question on the lips of every man, woman and child in America: is gender reveal lasagna the next big trend? Gender reveal parties are all the rage. There have been many creative version of the reveal, from paint guns, to balloons. These parties have become tradition to those who still believe in the gender binary or maybe want just want one more party for the baby soon to pop out and cry through a year of sleepless nights with its little squeal, which will be either male (blue squeal) or female (pink squeal). 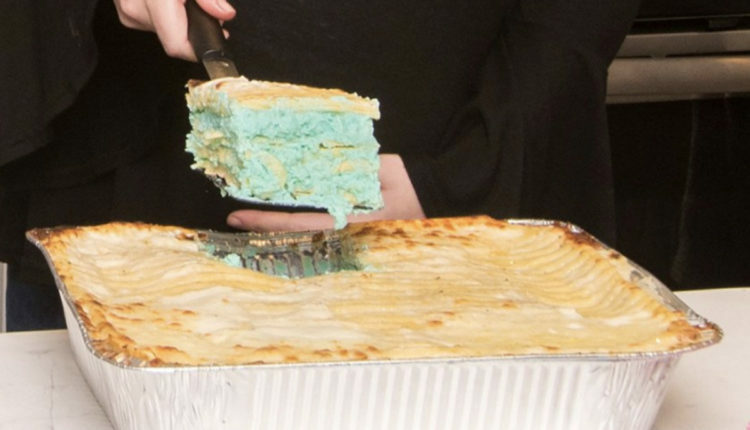 But check out this creative twist on that beloved new gender binary tradition… by meeting the world’s first-ever Gender Reveal Lasagna. Shake the lasagna’s male or female hand. That’s right. Villa Italian Kitchen just announced this new catering item. You can get your lasagna with blue *or* pink cheese (ew). The catering package includes garlic rolls, a garden, Caesar or Greek salad, and a cheese lasagna, with #LasagnaReveal as the dedicated hashtag. Yeah, make sure all your Twitter and Instagram followers know that you’re celebrating your child’s gender in the form of pasta. Come on! What are you waiting for! Come on! In any case, when it comes to the gender binary, why not just give this all the respect it deserves and express it in cheese in inedible colors. Chow it down, shovel it into your gullet. Oh, delicious. But you there, sir! What color cheese would reveal what you think of this whole gender lasagna thing? Let us know in the comments or on Twitter at @WhatsTrending.